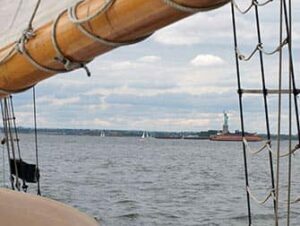 If you want to sail on a historic ship and sip fine wine/beer or listen to jazz and blues music, then taking a classic schooner sailing tour. 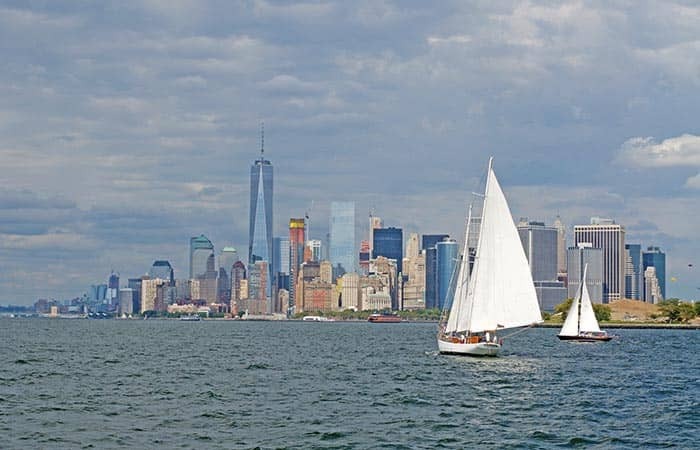 While on board, you’ll have a magnificent view of the Manhattan skyline! There are three different ones available to take: the jazz sailing tour, the wine-tasting sailing tour and the craft beer sailing tour. Each one is interesting and fun to do. Each of the tours will allow you to enjoy the Manhattan skyline in all its glory: the Statue of Liberty, Ellis Island and the Brooklyn Bridge. Please note these sailing tours are seasonal. Taste a variety of fine wines from America’s oldest and most renowned cellars. The wine expert on board will inform you about the different wines in a fun way, allowing you to expand your palate and impress your friends when you are back home. Of course, all of this is complemented with a selection of cheeses and snacks. The ship on which you will sail, the Shearwater, is steeped in colourful history. It was built in 1929 using native oak wood and today it’s the city’s only floating landmark. Throughout the years it has been carefully maintained and restored so that you too can enjoy it. The Shearwater was painted grey during the Second World War and was used to patrol the coast. In the ’70s it became a laboratory for research about the stresses of living and working underwater. Now, it carries around fifty passengers and crew members, providing them with a memorable experience. There are over 1,500 brewers in the United States, so selecting the right and most delicious craft beers has become an art in itself. Craft beer is beer that comes from small, independent and traditional brewers so on board you’ll be tasting some of America’s finest that you probably won’t be able to find easily elsewhere. Taste a variety of lagers and ales paired with charcuterie and cheese – and don’t forget to drink in the Manhattan skyline too while you’re at it! Leave behind the busy streets of Manhattan and spend the night listening to the blues and ballads of jazz music. A perfect way to spend a hot summer’s night. Acclaimed jazz guitarist Joe Cohn and saxophonist Avram Fefer will make sure you’ll be entertained throughout the night. Marvel at the night lights on the Manhattan skyline and recall the history of jazz – that originated in the South and was made famous by the great musicians from Harlem. Watch the Statue of Liberty and the Freedom Tower light up, while you sit back and relax.